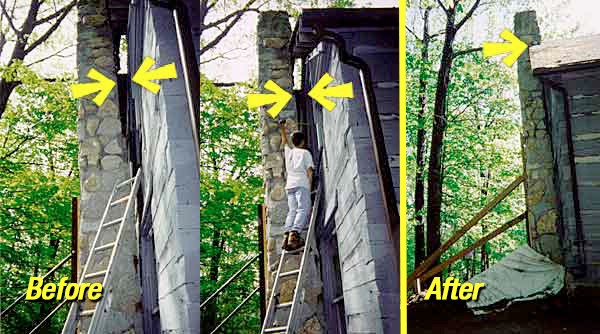 Not only is a leaning chimney unsightly, but it could also pose a risk if it leans too far and falls over. A-1 Concrete Akron-Canton, uses state-of-the-art methods to repair leaning chimney by straightening the chimney itself while at the same time leveling the foundation it sits on. All of this without the mess and expense of tearing it out and replacing it.